The road through Skehana only became a fully surfaced finished road in the 1950s. Prior to this it was not much better than a sandy boreen. The road through Skehana only became a fully surfaced finished road in the 1950s. Prior to this it was not much better than a sandy boreen. The road to Colemanstown was not finished to this standard until the Early 1960s. The stone for the project was acquired locally for the road and crushed on site by a stone crusher that moved along with the work as it progressed through the village. 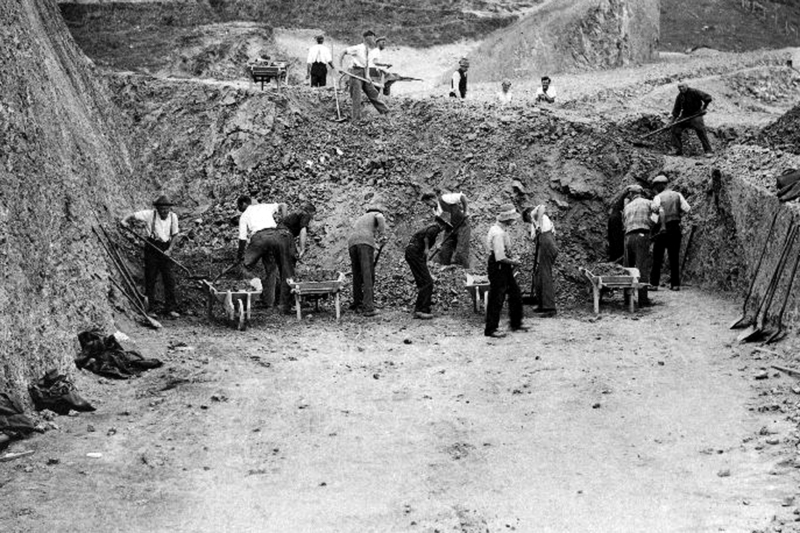 Some small quarries existed in fields along the way and stone was quarried from those to help meet the requirements. Some local people were employed in the project and others that had lorries or could get the use of a lorry were also given work. Railways became the dominant form of land transport from the mid-19th century. This situation persisted until the first half of the 20th century when motorised road transport (cars, buses and trucks) gradually began to take over from railways as the most important form of land transport. The 20th century saw a renewed emphasis on roads as the primary method of facilitating land transport. The increase in motor vehicle traffic on roads meant that urgent improvements were required to make roads suitable for all vehicles in the automobile age. 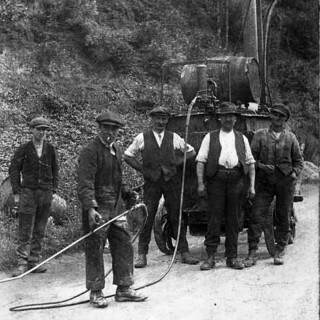 In 1909, a Road Board was set up to improve roads. It was initially funded by a tax on motor fuel and a later a licence duty on cars, the Road Fund. Road surfaces were improved and roads were widened and straightened using money raised by the Road Fund. The Road Board was abolished in 1919 when its functions were transferred to the newly established Ministry of Transport. In 1922, after the foundation of the Irish Free State, the Minister for Local Government took over the functions of the Ministry of Transport. In 2002, the newly renamed Department of Transport took over responsibility for national roads. From 1921-1922 onwards, the partition of Ireland has led to different paths in the evolution of public road networks in Northern Ireland and the rest of Ireland. 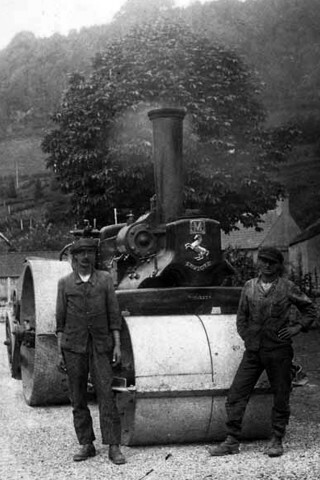 In 1922, the Irish Free State took over a network of public roads which required major improvements. Most road surfaces were made up of undressed and unrolled water-bound macadam which did not use tar as a sealant. Under the Local Government Act, 1925 the construction and maintenance of main roads and county roads became the responsibility of local county councils. Main roads and county roads were funded by the county less the urban districts and urban roads were funded by the urban districts.The 1925 Act also granted powers to order the removal or alteration of buildings, trees and hedges causing obstruction or danger, introduced a licensing system for the erection of petrol pumps and introduced powers to set speed limits and to regulate signposts. Grants were made to local councils from the Road Fund for the improvement of roads and, later, their maintenance. By the 1930s, “the surfaces of the main roads had all been improved and attention could then be given to widening and improving alignment.” Main roads now had tarmac surfaces in most instances although some sections of road, such as the Carrigrohane Road in Cork, were made from reinforced concrete. Road improvement schemes and road maintenance were effectively suspended during World War II due to the scarcity of tar and bitumen. After the war, roads that had deteriorated due to lack of maintenance during the war were restored and other improvements were made: “the effect of all these measures was a marked improvement in both main and county roads. In the 1950s, as already stated, the road through Skehana going on to Mullaghmore found its way to the top of the list for modernisation and was upgraded. Today roads are signed with M (for motorways), N (for national roads), R (for regional roads) and L (for Local link roads). The appearance of L road-numbers on signposts only began in 2006, along with European route numbers on some major roads.